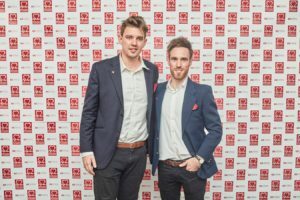 Twins, Jonathan and David Stretton-Downes, have partnered with the British Heart Foundation to launch an exciting campaign called SIX TIMES OPEN. The official launch happened in November and was attended by representatives from the BHF. The story behind the campaign – early next year Jonathan will undergo his sixth open heart surgery at the young age of 28, both twins will inevitably live through the physical and emotional trauma which surrounds such invasive surgery. The campaign SIX TIMES OPEN along with the support of the British Heart Foundation aims to increase awareness of heart conditions while raising money for the charity, they are hoping to raise a total of £100,000! The 12-month campaign, running through 2016/2017, will intimately follow Jonathan and David as they prepare mentally and physically for the roller-coaster of a sixth heart operation, through the surgery itself and along the harsh road to recovery. The campaign also aims to inspire others in similar situations that events such as this don’t have to define who you are or dictate your life! We aim to raise 100K for the British Heart Foundation through numerous events, activities and corporate partnerships. Events are already being planned to take place both nationally and internationally by talented and committed friends, corporate partners and key sponsors who are all passionate about this cause.